Headquartered in Silicon Valley, Reallusion is a leader in the development of 3D cinematic animation tools for consumers, students and professionals. 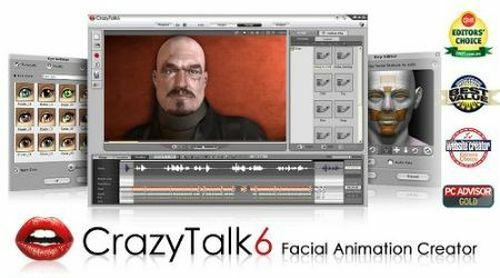 Recognized as an industry pioneer, the company provides consumers with easy-to-use avatar animation, facial morphing and voice lip-sync solutions for real-time 3D filmmaking and previsualization for professional post-production. Reallusion’s core technologies are widely used by consumers, gamers and filmmakers to ready their PCs with a total real-time movie studio that plugs-in to the gamer mentality with videogame-like play-to-create technology. Professional content developers equip their studios with Reallusion technology to streamline production efforts to match the lightspeed demands of animation. In addition to PC software, Reallusion is a trusted digital imaging and mobile 3D development partner to brother, Panasonic, Skype and Nokia with embedded applications in leading consumer devices worldwide. FaceFilter Studio 2 is a powerfully simple, quick and easy photo editor that enables you to fine-tune your photos for creating perfect, professional looking results every time. No longer does it take an hour with expensive software to Chromakey your videos. With popVideo Converter just import your green/blue screen videos and click on the 'One-Click Chromakey' button to instantly remove the background! Reallusion's popVideo Converter turns any green/blue screen video or image sequence into an encoded video with a transparent background. The intelligent Auto-Chromakey button simplifies the background removal process allowing more users to enjoy the power of green/blue screen production and bring any virtual host for video production or business presentation.